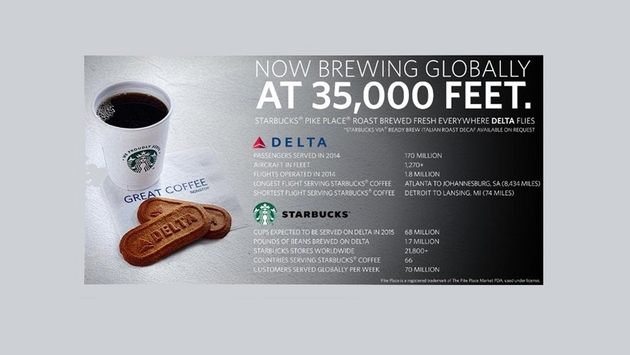 Delta Air Lines said this morning that it has begun brewing Starbucks coffee on board all of its flights around the world. That’s right – no more standing in lines in the terminal, trying to time it just right to purchase that Starbucks near the gate and be able to bring it on-board while it’s still piping hot. Now you can get it on the flight. Every flight. Some 5,000 of them a day on Delta. 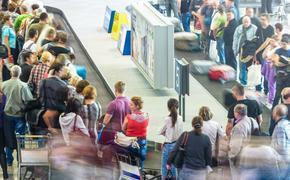 Delta said the move was a continuing effort to partner with high-quality, like-minded brands to enhance the overall traveling experience for customers. Previously, Delta served Starbucks on its West Coast Shuttle routes between Los Angeles International Airport (LAX) and San Francisco International Airport (SFO) as well as the transcontinental markets of JFK International to LAX and SFO. Delta will serve Starbucks Pike Place Roast and Starbucks VIA Ready Brew Italian Roast decaf in recyclable co-branded cups. It probably won’t be botching, er, writing your name on the cup, however. No word yet from competing airlines on whether they have contacted Dunkin’ Donuts.